A four-unit apartment building on Vine Street sells for nearly $1 million, Allstate leases 70,000 square feet, and a development company makes a $6 million land purchase in Englewood. A 23,000-square-foot lot and retail space sells on Colorado Boulevard, a buyer scoops up a Boulder hotel, and a steakhouse chain snags a lot in Northglenn. A grocer grabs a large space in Golden, and $12.8 million worth of land, apartment and office deals close. Real estate firms report more than $21 million in property sales, and several companies scoop up industrial and office space in Englewood. 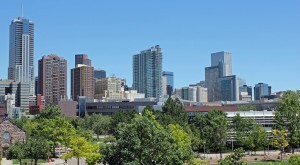 A major health insurer leases 80,000 square feet in Englewood and several other large leases close in Denver, Colorado Springs, Boulder and more. A diverse and meaty pipeline this week with lots of office expansions and some investment sales. A Thornton complex sells for $26 million, and firm buys a 5,600-square-foot Larimer Street property. Several large spaces change hands, including $88 million in office and apartment complexes. More than $5.3 million worth of apartments and industrial space is sold, and a company leases more than 30,000 square feet in Littleton. A large warehouse and office building change hands, and businesses sign leases on Colfax, Lincoln and Broadway.